Wedding is the on the of best memorable event in life. Along with wedding, Engagement, Mehandi, and Reception are the memorable events for any person life. When people want to celebrate big fat wedding they will go for 5 Star Hotels only. end up staying in a hotel. 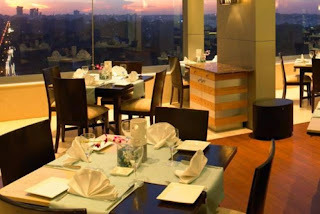 In Bangalore , hotels have various ratings, one of which is the 5-star hotel star rating system. This rating is based on the quality and amount of amenities provides its customers. People also go to these expensive, but luxurious hotels for special occasions and just to splurge sometimes and have a good time. Here is the list of best 5 Star Hotel for Wedding, Reception Engagement….. Aloft Bengaluru Grand Ballroom is a banquet hall located at Cessna Business Park, Sarjapur – Marathahalli Outer Ring Road, Kadubeesanahalli, Bellandur, Bangalore. 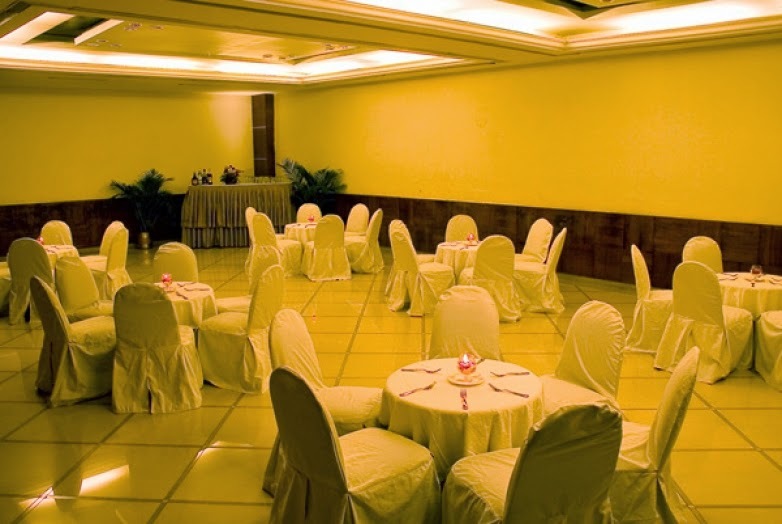 The Oterra Grand Ball Room is a banquet hall located in Electronics City , Bangalore .The banquet hall seating capacity is 750 and floating capacity is 1500.The elegant pillarless ballroom can accommodate around 1200 people in its sophisticated banquet space. It can be partitioned into three sections depending on your requirements. Conrad Grand Ball Room is a banquet hall located in Ulsoor , Bangalore .The banquet hall seating capacity is 850 and floating capacity is 2000.This venue has car parking capacity is 75 cars.See the wedding of your dreams become a reality at Conrad Bengaluru. Our professional wedding coordinators, catering teams and event staff will work to ensure your special day is unique, meaningful and exceeds all your expectations. Whether it is an intimate ceremony or grand celebration, our hotel has the beautiful event spaces that suit every need. Choose from three ballrooms with state-of-the-art technology and impeccable style – all feature a private foyer and sweeping views over the landmark Ulsoor Lake. 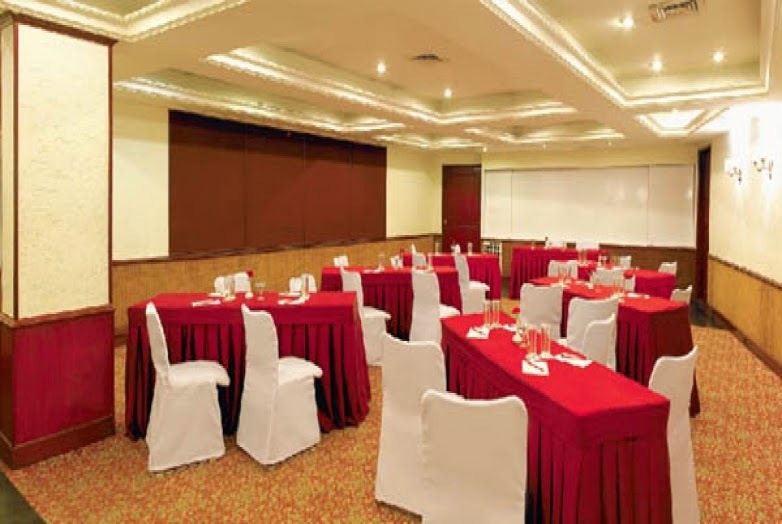 Taj West End Grand Ballroom is a banquet hall located in Race Course Road , Bangalore .The banquet hall seating capacity is 500 and floating capacity is 1000.This venue has car parking capacity is 100 cars. Outside food not allowed at this banquet hall.Events permitted at Taj West End Grand Ballroom are Engagement,Wedding Reception,Birthday Party,Get Together Party,Anniversary,Kitty Party,Naming Ceremony.This magnificent pillar less ballroom has an attached pre-function area and is the ideal space for large indoor events. Dimension: 118 ft X 42 ft | Area: 4956 sq. ft. | Height: 11 ft Guest Entry Point: 4. Check availabity online for Taj West End Grand Ballroom,Race Course Road, Bangalore. This entry was posted in News & Announcements on March 20, 2019 by admin. 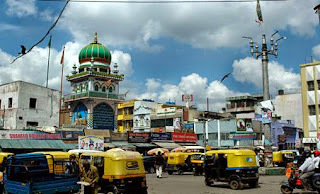 Kammanahalli is located in the north part of the of Bangalore. It is surrounded by Kalyan Nagar,HBR Layout, HRBR layout, Banaswadi and Lingarajapuram. In recent year Kammanhalli has become a favorite residential area in Bangalore. From Kammanahalli Interantaional airport is 40km, City Bus Stand is 10km ans Railway Station is about 10KM. This locality has 5 Star Hotels, 3 Star Hotels, Bar, Pubs, South Indian Restaurants, North Indian Restaurants, Andhra Restaurants. Any social event in our life is very much memorable for any person who want to make it memorable day in life. 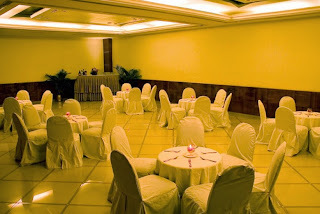 Kammanahalli has Spacious, Elegant, Beautiful Venues like Banquet Hall, Wedding Hall, Birthday Party Hall, Marriage Hall Party Venues for any social events like Wedding Anniversary, Baby Shower, Bachelor Party, Baptism , Birthday Party, Kids Birthday Party, Engagement, Wedding Reception, Get-Together Party, Kitty Party , Naming Ceremony/Namakarana , Sangeet , Upanayanam , Wedding / Marriage. Even for corporate companies also can conduct Annual Function, Board Meetings, Exhibition, Hi-Tea , Project Party, Seminars, Team Outing. Nandhana banquet hall is located at No.83,St Thomas Town, Kammanhalli Main Road, Bata Showroom. The seating capacity is upto 200 people and floating can manage upto 300 people. They allow both veg and non veg food and Veg menu starts from Rs.350 and Non Veg Menu starts from Rs.450. The venue is Centralized AC Hall and Car parking facility available. Tripti party hall is located at No.3C/321, Soumya Castle, 3rd Block, Ganesha Temple Road Kammanahalli. It is small party hall with venue capacity is upto 200 people. It is pure vegetarian hall and they will provide hall as rental. Dining hall is separate and plantain leaf service is also allowed. It is suitable for Birthday, Engagement, Reception. Tripti party hall is located in the middle of the Kammanahalli locality @ No.415, Kammanahalli Main Road. It is one of the biggest stand alone party hall in Kammanahalli with capacity is up to 300 – 400 people. They provide hall as rental and also they have inhouse catering service where guest can pay per plate charge. Separate dining hall also available and kitchen space also available. Plantain leaf service is also allowed. It is suitable for Wedding, Bachelor party, Get to Gether Party, Birthday Party, Engagement, Reception. Check availabity online for Twins Party Hall,Kammanahalli, Bangalore. Twins Party Hall is a located in No.4/1, 2nd Floor, HRBR Layout, 2nd Block, Opposite Jalvayu Vihar, Bangalore .The venue seating capacity is 200 and floating up to 250 can manage.This venue has car parking facility also which can park up to 60 cars. Outside food not allowed at this party hall.Events permitted at Twins Party Hall are Engagement,Wedding Reception,Birthday Party,Get Together Party,Anniversary,Kitty Party,Naming Ceremony. Wings Banquet Hall is located No. 236, 5th Main, 2nd Block, HRBR Layout. Wings Banquet Hall has 2 banquet hall.Bigger Hall is Wings Shalom Banquet Hall with seating capacity up to 350 and floating can manage up to 500 and smaller venue is Wings Terrace Banquet Hall with seating capacity up. For more Spacious, Elegant, Beautiful Venues in Kammanahalli Bangalore browse and book. Thinking how to celebrate 1st baby birthday party? 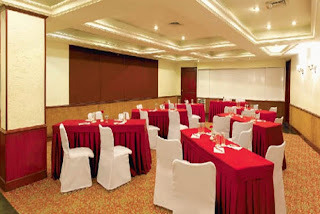 Spacious venue with facilities like AC, Dining, Car Parking and More….. Yes cake is also very very important. This cannot be just any cake . There are multiple memories associated with the first year birthday. Find out a cake style that can capture it all memories. Birthday party time should be early evening between 7 to 8 pm where best time to celebrate and to cut cake. Some items required for the party so shoppong also important. This also requires planning since its difficult to buy all items at last moment. Number of people that would be attending to party must be know well advance. Reach out to them for confirmation before event. Your options for food and other items will depend on it. People will be having fun, but you should nee to know how long the entire party will last, so that it is good for other actities. Food choices makes party by a large degree. The choices of food items are important for kids. Therefore, make sure you have separate sections for kids, which allows everyone to enjoy.Not all food items would be safe for children. Come up with separate menu cards for kids that they can carry around. These can be used to list preferred foods and any allergies if so. This entry was posted in News & Announcements on March 14, 2019 by admin. Pure veg Banquet halls in Whitefield Bangalore with menu and prices.3 star, 5 star Banquet Halls in Whitefield Bangalore with prices. The Banquet Halls in Whitefield Bangalore are rated based on amenities, photos, 360 virtual tour, availability information, rating and reviews. This entry was posted in News & Announcements on March 7, 2019 by admin. Bangalore has some beautiful venues for your wedding celebrations. Plus, its international feel and cosmopolitan appeal make it a great wedding destination. If you are planning a wedding here, then the city is well-equipped to fascinate you with treasured memories. World-class, comprehensive and contemporary, welcome to the world of modern facilities and privileges at Pai Vista Conference Venue. This venue offers many choices to meet, to celebrate occasions and to be entertained.Comprehensive solutions are knit together for organizing and managing your events professionally. Located in Basavangudi and Banshankari Bangalore.Has a Seating Capacity of 700 & Floating Capacity of 1500 . The Poornima Convention Center is beautifully designed with a fine blend of aesthetics and convenience. It provides a royal ambiance with a huge reception hall, making it completely perfect for any grand wedding. With a seating capacity of 650 people.The dining hall can afford a seating service for more than 300 guests at a time. In addition, there is an outdoor facility for setting up chat / ice cream counters also. The center offers seven well-appointed rooms, with attached Bathroom. Poornima Convention Center is right place to host gala events. Ferns North Star Lawn is a popular located in Near Devan Halli International Airport Road International Aiport Bangalore. The venue has two wheeler and car parking space. The popular search results of Ferns North Star Lawn are in International Aiport for engagement,reception,birthday party,anniversary. Events permitted in this venue are engagement,reception,birthday party,get together party,anniversary,kitty party,Betrothal ceremony,namakarana,board meetings,conferences,seminars,corporate meetings,training programmes,high powered meetings,lectures/ workshops,product launches,private parties,fashion shows.People can book Ferns North Star Lawn online. Star Convention Center located in JP Nagar Bangalore has a seating capacity of 800 People.Which can allow the floating capacity Upto 3000 people. The dining hall can afford a seating service for more than 300 guests at a time. When you conduct an event with us, we had like to make things simpler for you, by offering you a range of convenient services for you to choose from. Ferns Aspen Heights Lawn is a popular located in Near Devanahalli Hennur Bagalur Road Devanahalli Bangalore. The venue has two wheeler and car parking space. The popular search results of Ferns Aspen Heights Lawn are in Devanahalli for engagement,reception,birthday party,anniversary. Events permitted in this venue are engagement,reception,birthday party,get together party,anniversary,kitty party,Betrothal ceremony,namakarana,board meetings,conferences,seminars,corporate meetings,training programmes,high powered meetings,lectures/ workshops,product launches,private parties,fashion shows.People can book Ferns Aspen Heights Lawn online. Miraya Green Lawn is a popular located in Survey # 72, Sakalvara Village Jigani Hobli Bannerghatta Road Bangalore. The venue has two wheeler and car parking space. The popular search results of Miraya Green Lawn are in Bannerghatta Road for engagement,reception,birthday party,anniversary. Events permitted in this venue are engagement,reception,birthday party,get together party,anniversary,kitty party,Betrothal ceremony,namakarana,board meetings,conferences,seminars,corporate meetings,training programmes,high powered meetings,lectures/ workshops,product launches,private parties,fashion shows.People can book Miraya Green Lawn online. VK Convention Center is well equipped with social events spaces and offers it members a rent out option at nominal cost. These spaces are fully loaded on amenities and offer the best in class service from trained hospitality professionals to add to your events smooth functioning. Gather your near and dear ones and make your event a memorable one at these space options. Manpho Convention Center has been esablished to promote domestic and internatonal trade. The trade center has been setup on a 7 acre campus with 100000 sft. space building. Sri Sai Conventional Hall is a popular located Padmanabha Nagar Bangalore. The venue has two wheeler and car parking space. This venue has highest rank in the search results of in Padmanabha Nagar, in Bangalore. Events allowed in at this venue are conference,meetings,business parties,business meetings,international conference,board meetings,conferences,seminars,corporate meetings,training programmes,high powered meetings,lectures/ workshops,product launches,private parties,fashion shows etc.People can book Sri Sai Conventional Hall online. This entry was posted in News & Announcements on January 20, 2016 by admin. Bangalore city is known for its green spaces and nightlife.Bangalore,is famous for its pleasant weather throughout the year. It offers the perfect canvas to paint all things dreamy and has emerged as a hub for various wedding functions, big or small. The city has some beautiful venues for your wedding celebrations. Plus, its international feel and cosmopolitan appeal make it a great wedding destination. If you are planning a wedding here, then the city is well-equipped to fascinate you with treasured memories. A wedding is a ceremony where two people are united in marriage. Wedding traditions and customs vary greatly between cultures, ethnic groups, religions, countries, and social classes. Most wedding ceremonies involve an exchange of wedding vows by the couple, presentation of a gift (offering, ring(s), symbolic item, flowers, money), and a public proclamation of marriage by an authority figure. Special wedding garments are often worn, and the ceremony is sometimes followed by a wedding reception. Music, poetry, prayers or readings from religious texts or literature are also commonly incorporated into the ceremony. Balana Farm Convention Hall is a popular located JP Nagar 8th Phase Bangalore. The venue has two wheeler and car parking space. The popular search results of Balana Farm Convention Hall are in JP Nagar 8th Phase for engagement,reception,birthday party,anniversary. Events permitted in this venue are engagement,reception,birthday party,get together party,anniversary,kitty party,Betrothal ceremony,namakarana,board meetings,conferences,seminars,corporate meetings,training programmes,high powered meetings,lectures/ workshops,product launches,private parties,fashion shows.People can book Balana Farm Convention Hall online. This entry was posted in News & Announcements on January 19, 2016 by admin. The Park Plaza Bengaluru epitomises an “Urban Art of Living” far exceeding other hotels in Bangalore. This five-star, deluxe hotel is strategically located at Marthahalli on the Outer Ring Road, which connects travellers to Bangalore’s IT hubs in Whitefield, Sarjapur and along the highway. Additionally, businesses like J.P. Morgan, Cisco, Intel and Oracle are just minutes away from the Park Plaza Bengaluru. Designed to make your stay as comfortable and productive as possible, this luxury hotel is equipped with complimentary Wi-Fi, an on-site fitness centre, a swimming pool, a steam room and a sauna, in addition to four on-site dining options and 1,950 square metres of fully equipped meeting and event facilities. Nearby attractions include Bangalore Fort and the ISKON Temple. This entry was posted in New year Parties and tagged new year celebrations, new year party tickets, Unlimited Dinner, unlimited liquour on November 5, 2014 by admin. Mattan is 5 Star luxury hotel in Old airport road, Bangalore. Comfort and premium services for professional or personal stays. Executive room will be clean and comfortable .Room service and house keeping services were top notch.The ambiance of the place, Service will be excellent. However the food was just average. The interiors are wow, simply wow. Glossy marble tiles, comfortable chairs, lots of glass here and there. Its a good place for show. This entry was posted in New year Parties and tagged Mattan new year celebrations, new year celebrations bangalore, new year parties 2015 on November 4, 2014 by admin. Shivaji is adjacent to Bangalore Cantonment area and nearby to M.G Road, and it is next to Frazer Town a lavish area of Muslims.Shivajinagar is named after the great Maratha king Shivaji. It is also Known as Mini India for its cultural diversity . Muslims, Hindus and Christians are Major Population here. It is also famous for its Food by Muslim Hotels in local e.g. Kebab, Biryani, and Haleem.Shivajinagar or Blackpally was a barren region when Kempegowda founded modern Bangalore. The first settlers in the area were farmers from Gingee, who set up a village and cultivated white rice. It is believed that the name Black pally for the area came from the bili akki (white rice) that they grew in their fields.Area between Infantry Road to St John’s Church Road and from K.Kamraj Road to Queens Road is Shivaji Nagar.Though much has altered now, the remnants of the past are still visible. Russell Market is still the main market place of the area and one can see the spires of St Mary’s Basilica opposite it. One can also still see some old shop-houses and theatres, which served the residents. This entry was posted in Banquet Halls and tagged Banquet halls on May 12, 2014 by admin.